An astute sense for design comes naturally to Medha Kakade, the Founder and Principal Architect of Kreative House. Originally from Sangli, in Maharashtra, Medha received her architectural degree from Appasaheb Birnale College of Architecture in 1999. Her first job was with the reputed architectural and interiors’ firm of Sangli–Parikh Associates. In a short time, her abilities saw her working as the primary architect on prestigious projects. Her strong design sensibilities had the firm entrusting two major interior projects to her completely. 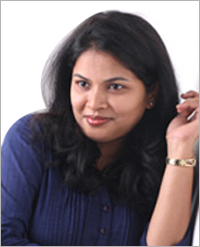 Medha’s stint at Parikh Associates came to an end in 2002. That spelt the birth of Kreative House. Today, 12 years later, the company has several architectural and interiors’ projects in these two cities to their credit. Their work is also seen in Vizag and Solapur. Over time, Kreative House moved from working on a five projects in a year to successfully handling over 14 to 15 projects. This happened in a short span of 6 years under the stewardship of Medha. The dream that was, Kreative House only seemed to grow bigger with each passing day. In 2012, Pavan Kakade decided to call it quits at AHIDCO where he was the Chief Architect and joinedhands with his wife Medha at Kreative House. Their working styles and expertise are a perfect complement to each other and Kreative House’s abilities are only poised to grow. 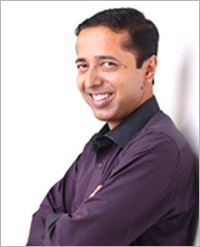 Hailing from Solapur, Maharashtra, Pavan was born and brought up in Hyderabad. With a passion for architectural design, Pavan enrolled in JNTU (Jawaharlal Nehru Technical University) to pursue Architecture. His creativity was acknowledged by NASA (National Association of Students of Architecture) when Pavan designed a “Futuristic Living Module”. His design was selected by NASA as one of the best designs in the competition. The acknowledgement and appreciation by this body of senior architects gave this young architect the motivation he needed to take on the world. Soon after completing his B.Arch., Pavan was recruited by the financial institution HDFC as their “In-house Architect”.He was entrusted with multiple projects related to interior designing at HDFC branches across Andhra Pradesh. He also handled Corporate Evaluation and Project Clearance for Project Financing. All the while, Pavan worked diligently to learn from his seniors in the field. Four years with HDFC saw him reaching his peak. He moved on to AHIDCO (Aditya Housing& Infrastructure Development Corporation) as their ‘Chief Architect’.